"Someone has to stop this madness." 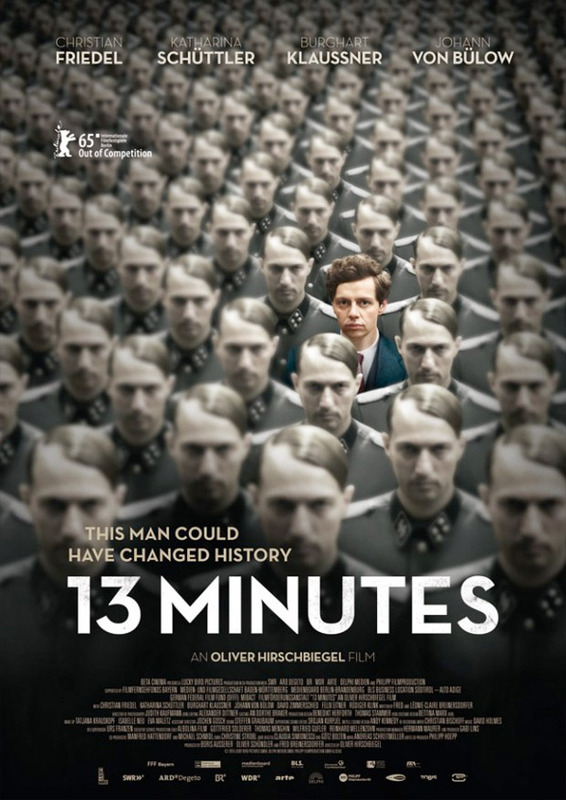 Sony Pictures Classics has debuted the official US trailer for Oliver Hirschbiegel's film 13 Minutes, about the true story of an German man who tried to kill Hitler by planting a bomb in Munich in 1939. German actor Christian Friedel plays Georg Elser, an intelligent young man who decided to build a bomb from random materials he could find and planted it at a venue Hitler was about to speak at. The event ended early, and Hitler left the building 13 minutes before the bomb went off, escaping narrowly. The film profiles Elser and his time before the war, exploring his motives and desires for this plot. I saw this film way back at the Berlin Film Festival in early 2016, and I thought it was fantastic. I'm sad it has taken two years to get released, but I hope some people give it a chance. It's worth your time. From the director of the Academy-Award nominated Downfall - 13 Minutes tells the incredible true story of the man who nearly changed the world - Georg Elser (played by German actor Christian Friedel), a carpenter who attempted to carry out a bomb plot against Hitler at a Nazi convention in Munich 1939. The film follows Georg's fascinating confession, of not only how a seemingly non-political man came to this point, but also delving into his personal relationships and how they were affected by his beliefs, especially with the love of his life, Elsa. 13 Minutes is directed by Oliver Hirschbiegel (of Das Experiment, The Invasion, Diana) from a script by Léonie-Claire Breinersdorfer & Fred Breinersdorfer. This first premiered at the Berlin Film Festival in 2015 (read my review), and is playing at the Palm Springs Film Festival in January. Sony Classics will finally release 13 Minutes in select US theaters starting on March 17th, 2017. This was a whole different attempt, as there where also many other before “Valkyrie”. This one was just at the beginning of the WWII and attempted by a civilian.